So .... what's the web traffic development roadblock? In this four-part series of blogs my objective is to explain the roadblocks currently preventing small business from developing sustainable traffic for the purposes of conducting e-commerce. In this first post in the series I'm going to explain the importance of a world-class website as the foundation for a small business transformation. However, it will become clear that deploying a world-class website is not the solution in itself - only the foundation. Nothing can happen without it but nothing will happen with it, unless there's an ongoing content creation strategy and an understanding and use of the science of website traffic development. The popular internet is now 25 or so years old. It's changed radically since the first websites went live and continues to change at a rapid pace. There are virtually one billion websites now established and big business has built a strong presence. But ... what about small business? Large corporations dominate web traffic while small business has mostly failed to establish a significant presence. Everyone has a website but no one has any traffic. Why is this and what are the roadblocks preventing small business from having a stronger online presence? 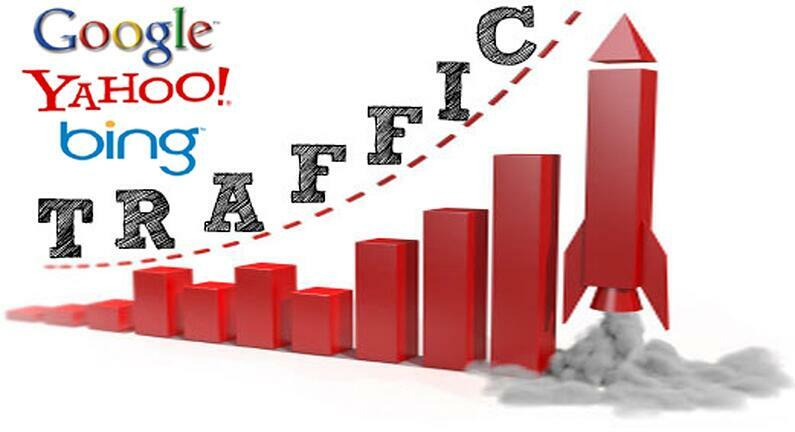 Before I attempt to answer these rhetorical questions let's take a look at what's required to develop sustainable web site traffic. Once we've explored this, then we'll have a better understanding of what the roadblocks are and to better understand why small business has mostly failed to take advantage of the game-changing potential of the internet. My passion is the office products industry with a particular emphasis on office supplies such as ink and toner cartridges. This is a mature industry with many market distortions and "rent-extractors" that mean the OEMs still control 80% ($20 billion out of $25 billion) of the retail spend on ink and toner in the United States. The aftermarket has a 20% share, the overall market is declining at 1-2% per year but the aftermarket spend is decreasing faster than the overall market. No one knows for sure but it's estimated there are 10,000 resellers in the United States. Many of these resellers were the pioneers of the aftermarket, remanufacturing first toner and then ink cartridges back in the early 1990s. They know the business and they work hard. The quality of aftermarket products has increased exponentially since the early days while most local remanufacturing has closed down due to the high cost, the technical and the quality barriers. So, the resellers work hard, they know the business, the quality has improved massively from where it used to be and there's a compelling value proposition compared to over-priced OEM cartridges. I personally look at these market conditions and I see a huge growth opportunity despite the overall market shrink of 1-2% per year. $25 billion in annual retail sales in the U.S. market constitutes a large market and a 20% aftermarket share means there's a $20 billion growth opportunity for smart resellers. However, at this time, I don't think most of the resellers see or understand the same growth opportunity. Why is this and how do we educate and motivate this large group of hard-working business owners to understand the opportunity and to get all the required elements for operating their business in the 21st century in order and to successfully execute a business transformation? The answer lies in the internet - it's not easy and, although I think most business owners instinctively understand the importance of the internet, they unfortunately don't really understand what's required in order to take advantage. To set the scene - in the old days large companies with the largest resources built the biggest brick and mortar presence, advertised and established recognizable brands. It was really difficult for a small business to compete effectively with a large business because of the capital resources required. These days ... just think for a moment about a large company website and a small company website. There's really no reason why a small company website cannot technically and visually match that of a large company website. The website is the 21st century store front and it provides an opportunity for a small business to level the playing field in a manner that has never previously existed. In the old days small business could never expect to match the resources of big business and were consigned to a lesser role that depended on their local footprint and their relationships in local markets. However, in the modern era there's no reason why a small business website cannot be developed to present a sophisticated and game-changing presence that meets or even exceeds that of large enterprises. If you're a small business and you have a brick and mortar presence in your local community and your store is not maintained - the windows are dirty, the floor is dirty, the product on the shelves are covered in dust, then prospective customers are going to walk straight by! Store owners know they have to keep their store clean and welcoming in order for any customers to enter the store. It's no different with a small business website. If it's not well designed, informative and helpful then why would anyone stop by? This is the first part of the problem in the reseller community for office products and supplies - the current websites (of course there are exceptions) generally score less than 30/100 using popular website graders. With some effort, the first stage of a business transformation could be accomplished simply by getting these sites to an 80+ grade. The second part of the problem is the sheer scale of the internet. There are still many small businesses who think they can put up their website and traffic will magically come. Unfortunately, this is simply not the case. Whether a site has a grade of 30 or a grade of 80+ the chances of developing sustainable web traffic without a sophisticated marketing strategy are close to zero! With a website grade of 30 there's simply no point trying to develop web traffic so, the first step that must be taken, is to fix the website. Once this has been accomplished then a business transformation strategy can be commenced leveraging the website asset that's been deployed. Web traffic development is not easy and it won't happen overnight - especially not in a mature industry such as office products. However, remember there's a $20 billion dollar growth opportunity and keep in mind that over 80% of buyers do their research online before making a buying decision. Perhaps those researching buyers are not happy with their "big-box" solutions (DepotMax and Staples) and the smattering of high-priced aftermarket products and broad array of OEM products they're currently offered. Perhaps they're looking for alternatives but can't find them because the 10,000 resellers have collectively failed to present information on their websites that these buyer's may be looking for. As we know making a decision to switch from a trusted OEM brand to an unknown aftermarket brand is not easy for a buyer to make, particularly when bombarded with the FUD (fear, uncertainty and doubt) strategies aggressively spread by the OEMs. In order to educate researching buyers and help build trust and confidence to make that switch, then the right type of content for them to make an informed decision for an improved value proposition from a qualified alternative supplier, has to be provided! 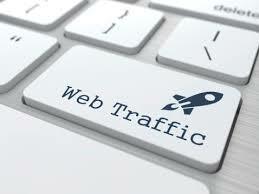 Web traffic development is a combination of an art and a science. The "art" is the content and the "science" is the understanding of what search engines are looking for in order to decide whether or not a site is delivered high-up in search results. In part 2 of this blog to be published on June 22, I'll write about the "art" component and the importance of interesting, useful and relevant content and in part 3 to be published June 29 I'll talk about the "science" of website traffic development. Finally, in early July the fourth and final part of the series will provide a summary and path forward for small business to overcome the roadblock and successfully develop relevant traffic for the purposes of conducting e-commerce and a business transformation. For access to a PowerPoint presentation I recently delivered to the audience of the 2016 Recycling Times Media Summit in Cancun Mexico, please click on the button below.